Over the years in business, I have had countless project launches that, to be completely honest, have not always done well. And oh friend, have I had my share of mistakes! But I refuse to accept them as failures. From not knowing what my big goal was to trying to tackle too many projects at once, I have been tested many times to turn these mistakes into something I can improve for next time. 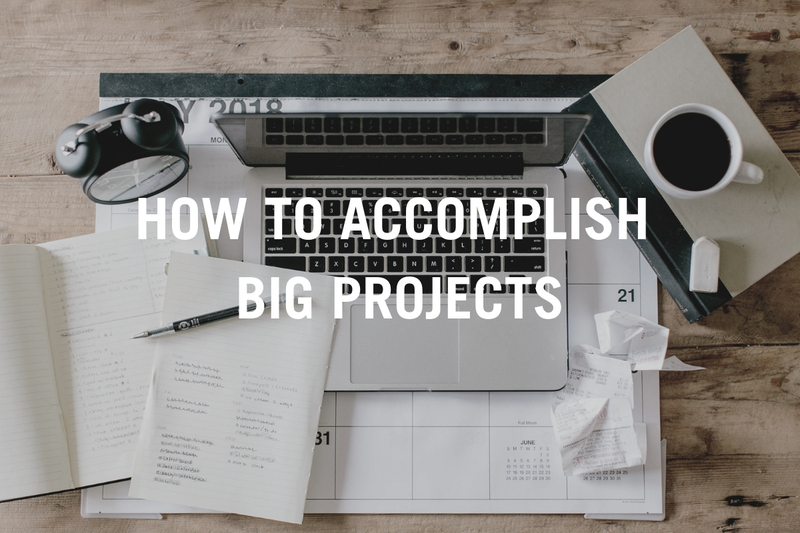 After these hard decisions and learning experiences, I’d like to share with you the 3 things you must do to accomplish big projects. Get clear on the outcome. Friend, if you don’t know where you’re going you will never know when you arrive. You have to have a way to measure your project if you have not clearly defined what success would look like. Let go of attachments. After you have outlined your results and goals, you must say that whatever happens at the end of this is not a reflection of me. If you give 100% of your efforts, you should be okay with whatever comes out on the other end. Have a clear plan of action. When you have a clear plan of action, it helps you not be stressed or overwhelmed. You just have to look at your plan and take the necessary steps TODAY. Are you ready to take those big projects and outline your social media marketing and plan your promotional strategy for the entire year? My free one hour class S.O.S. (Selling On Social) will walk you through how to gain clarity, master productivity, and walk you through my step-by-step process to creating customers on social media. It is your chance to learn how to communicate your message, get followers to engage, and create excitement around your sales+promotions! To save your seat for this free online class, head to www.jasminestar.com/sos. I can’t WAIT to see you there!